Digital Arts and New Media Open Studios in the DARC this Friday! Featuring DANM student art work in a variety of digital media in a variety of spaces in and around the DARC building. 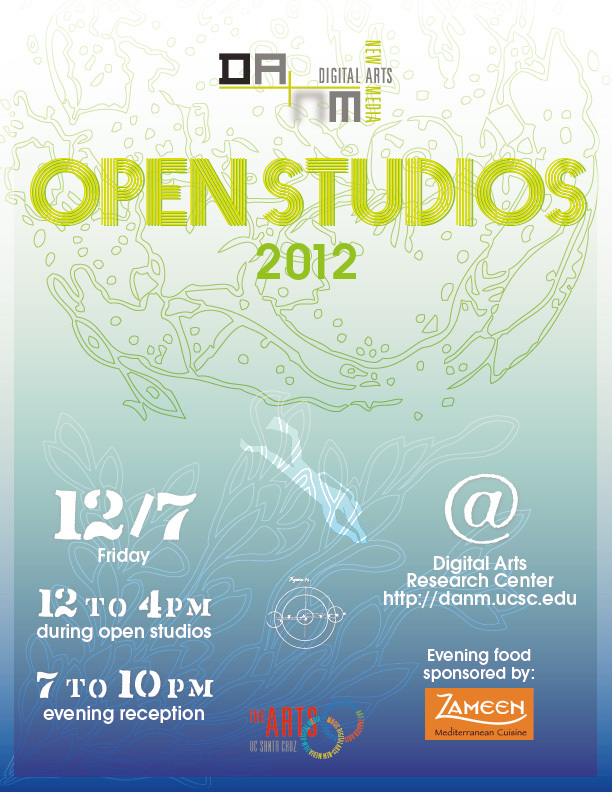 DANM Open Studios runs in conjunction with the Art Dept. Open Studios.